Please send me on holiday to Barcelona! My colleagues and I were so busy that we barely found time to eat so it wasn’t until about 10pm on Day 2 of the conference that we finally made it to a tapas restaurant for a meal (and a welcome chance to sit down). In all honesty, the restaurant we found wasn’t particularly good but they did make a mean Croquetas de Jamón – I’d never had one before but, mmmmmm, I loved it! We found a better tapas place the next evening, and I made it a point of ordering croquetas again; in fact, I had to make another order after that as our table of 7 devoured them as quickly as they arrived. I therefore made it my mission this weekend to make some myself. 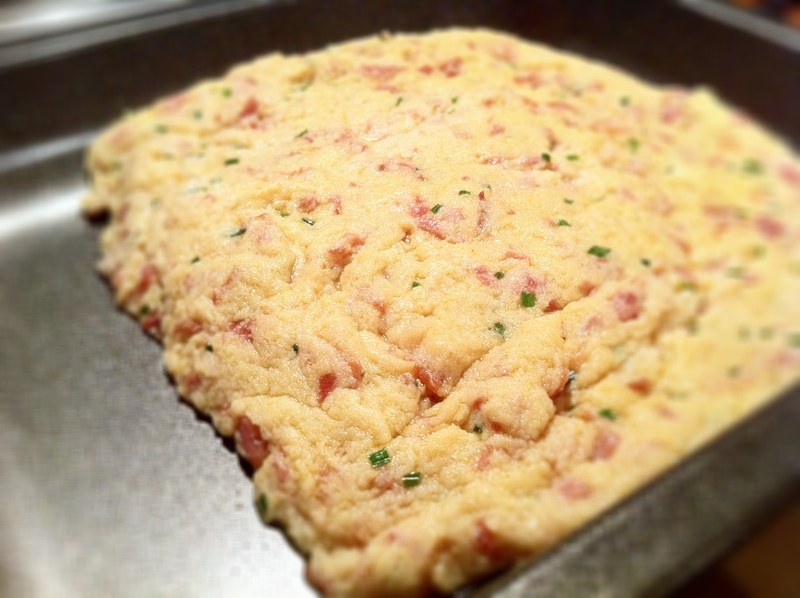 My colleague, the one who’d introduced me to them, thought they were quite difficult to make but they’re so not. They are however terribly bad for the old waistline so it’s best I don’t attempt these again for a very, very long time – such a shame because they taste so divine! When your fork first cracks the breadcrumbed coat, you expect something crispier on the inside but instead, there’s something richly decadent when your forks ends up plunging into a fluffy pillow of melt-in-your-mouth savoury goodness. Crisp on the outside, pillowy soft and creamy on the inside. 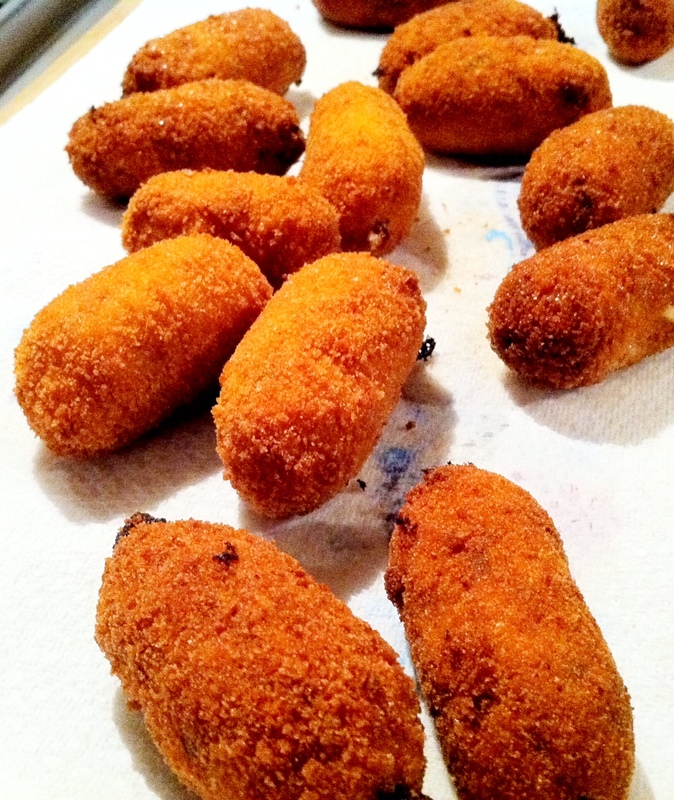 I based my recipe on a recipe for croquetas from a website, aptly named Spain Recipes. However, I think their recipe uses far too much oil because I ended up using a paper towel to blot as much of the oil out of the bechamel-like sauce as possible. 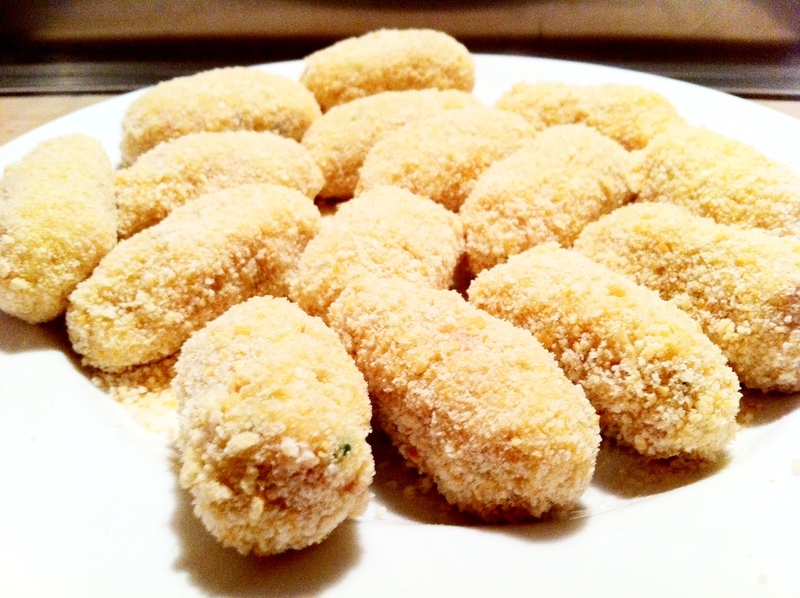 I flavoured my croquetas with serrano ham, sweet smoked paprika and fresh chives but you can replace it with almost anything you like – salt cod is meant to be another traditional filling but my friends tell me boiled eggs, chorizo or cheese works just as well. FYI, you do need to make the filling in advance to give it as much time to set as possible but trust me, it’s well worth the effort! 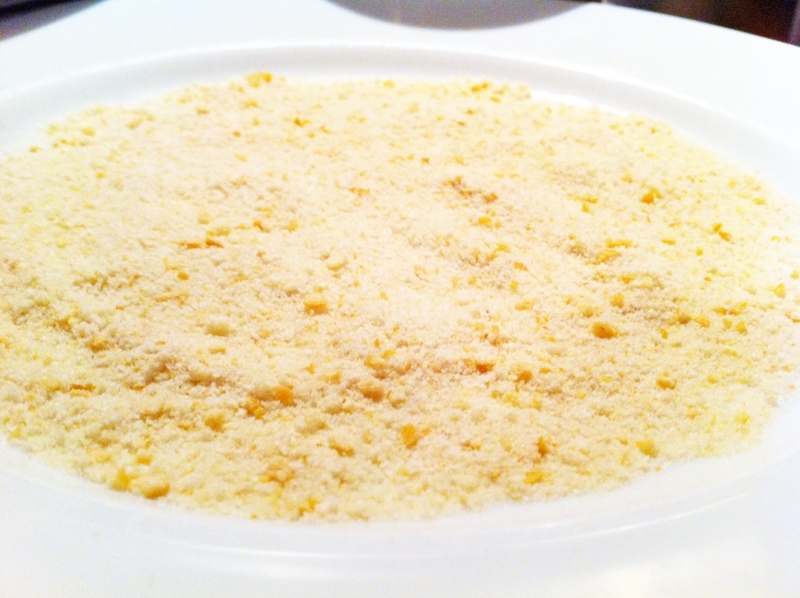 Home-made breadcrumbs are always better than shop bought packets. These are so easy to prepare in advance. What’s that??? I’m always going to associate these croquet as with Spain forever more, their just so tasty! What’s not to love? Your caption says it all, “Crisp on the outside, pillowy soft and creamy on the inside.” Add serrano ham and you’ve got near perfect croquettes. They’d be perfect if, right now, they were on a plate before me. Hahaha, thanks John. I’d send some to you if I could! ThanksG, that means a lot especially since it comes from you. I didn’t find them too difficult to make, just a bit fiddle. I could eat these too easily every day, so we’re going to wait for at least a couple of months before I try some different flavours. Any recommendations? Hiya. Trip was tough cos it was for work, and I was manning our press office at the conference – stressful and tiring. Ashamed to say I didn’t take any photos. Such a shame as I go there every year but never have time to sightsee as it’s all about the work. Hiya!!! Sorry to hear this. All your pictures would have been of conference rooms and business meetings. Maybe next time. These look like heaven. Definately being added to the must make list! They are extremely morerish, just be careful you don’t burn your mouth if you make/eat them cos they’re nuclear on the inside. Thanks! Pretty pleased with the result for a first time effort. I’m a fan of anything “pillowy soft” in the middle. These look like delicious, savory bites! They were lovely. I will try some other flavours the next time as I love the creamy texture. Thank you, I am pretty proud of the result as I’ve never made them before. Well. They look just the way they’re supposed to! It is terrible for me to read your blog before dinner. These look so crunchy and fun to eat I’m trying to reach through the screen! I really want to try the salt cod filling but I think the ham might be easier to find. Either way I think I’ll be very happy once I get to make some! I always assumed these were difficult to make too, but I’m glad you say otherwise. They look delicious!! 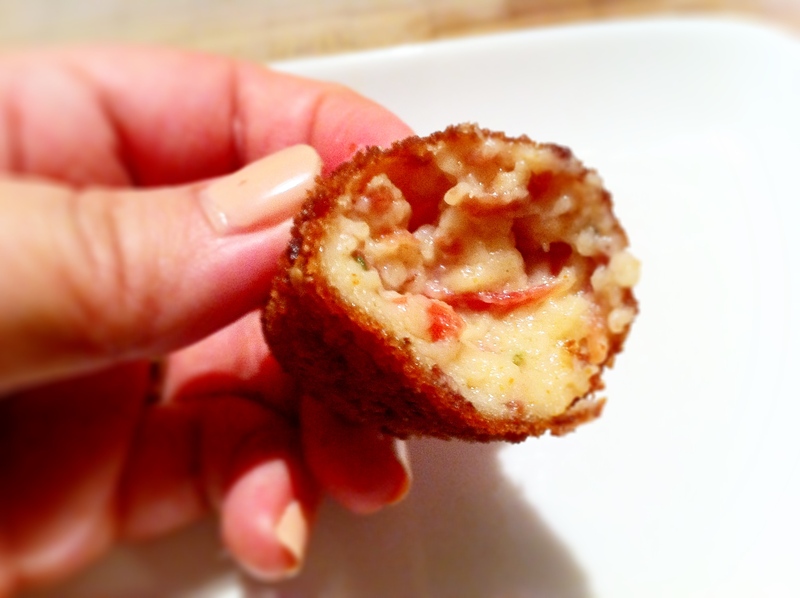 Not a huge fan of fried food, but these sound amazing…ham and cheese, YUM! 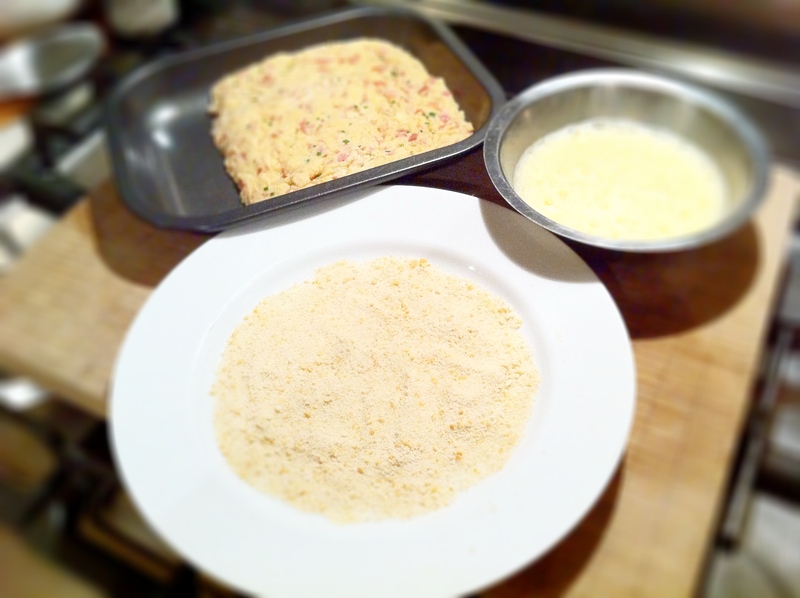 and then there is the béchamel…so delightful. Did they serve them with a sauce? I’ve had a version of these in restaurants, but they were not as pretty as yours, nor did they taste as good as yours sound. Love the mixture inside. These look so tasty…mmmm, now I want one! She’s back and firing on all cylinders!! 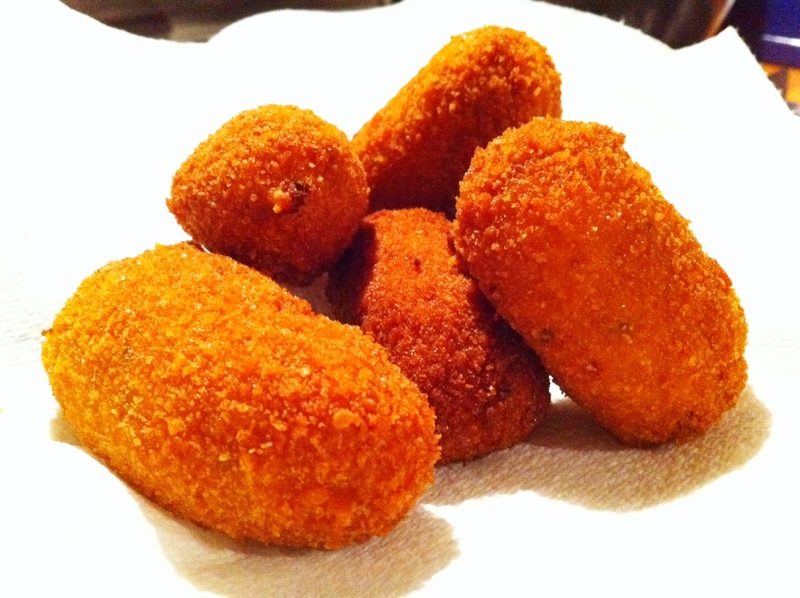 I love croquetes, they kind of went of fashion in the UK didn’t they, but I always end up having them in Holland (potato ones) – for some reason or another. But this filling looks divine, and your version looks picture perfect. Sod the waistline! The top prize is a 3 night break for two to Barcelona staying at a 4* hotel, including flights for the lucky winner. There are also 10 runners up prizes too! If you want to enter the comp, all you have to do is follow the easy guidelines on the competition page. Please feel free to drop us an email at competitions@holidays.easyjet.com if you want more information. Check it out and good luck if you decide to enter! Wow, cool, I’d love to enter. Thanks! Ha! Was checking out the competition, I have to say your croquettas look amazingly good. Best of luck — may the best/luckiest blogger get to Barcelona…I do really love that town.